Scrub potatoes. Leave skins on, if desired, or peel thinly and remove eyes. Leave whole or cut into large pieces. Heat 1 inch water (salted if desired) to boiling; add potatoes and garlic. Cover and heat to boiling; reduce heat. Cook whole potatoes 30 to 35 minutes, potato pieces 20 to 25 minutes or until tender; drain. Shake pan gently over low heat to dry potatoes. Add butter, salt and pepper. 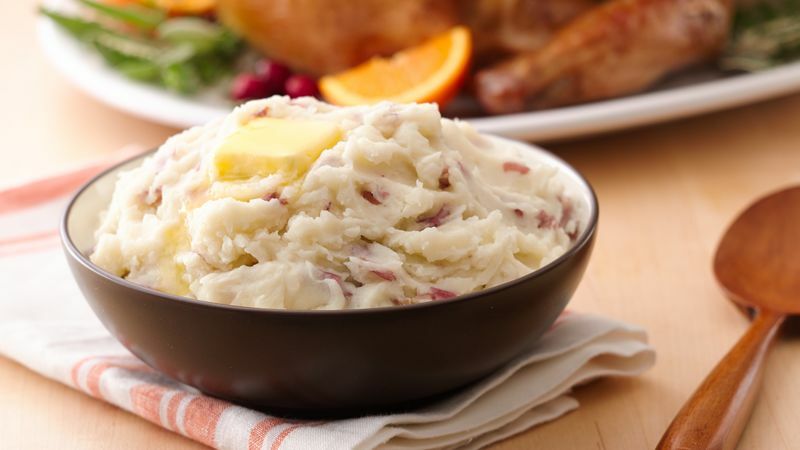 Beat vigorously until potatoes are light and fluffy. If desired, dot with butter or sprinkle with paprika, chopped fresh parsley, watercress or chives. If you’re not into garlic, go ahead and leave it out. The potatoes will still be heavenly! Just a bit of potatoes left over? Use them to add thickness—and flavor—to your next vegetable soup.